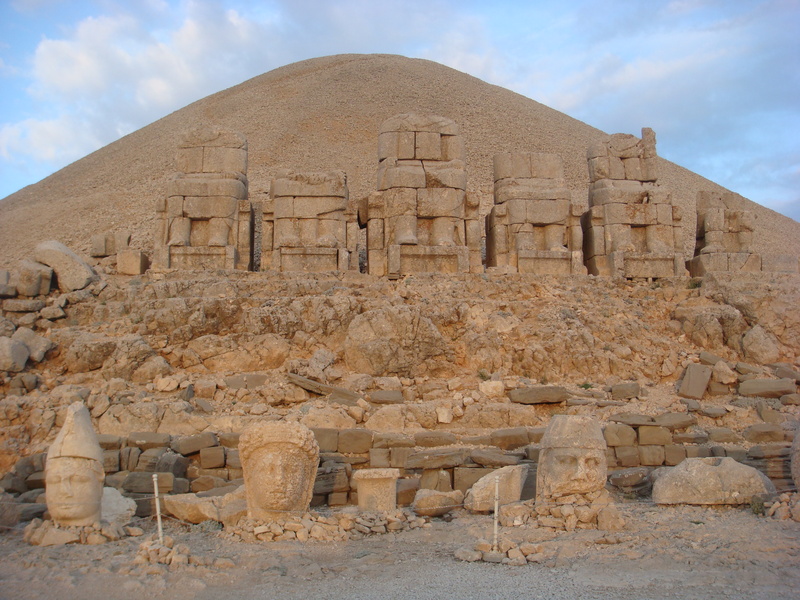 Turkish Delight : Sunset on Mount Nemrut. ← Lake of Stars, a unique festival experience. With 250,000 miles on the clock, 4,000 of which we had recently driven, our stalwart 4 wheel drive decided to give up the ghost on a mountainous ascent in south-eastern Turkey. 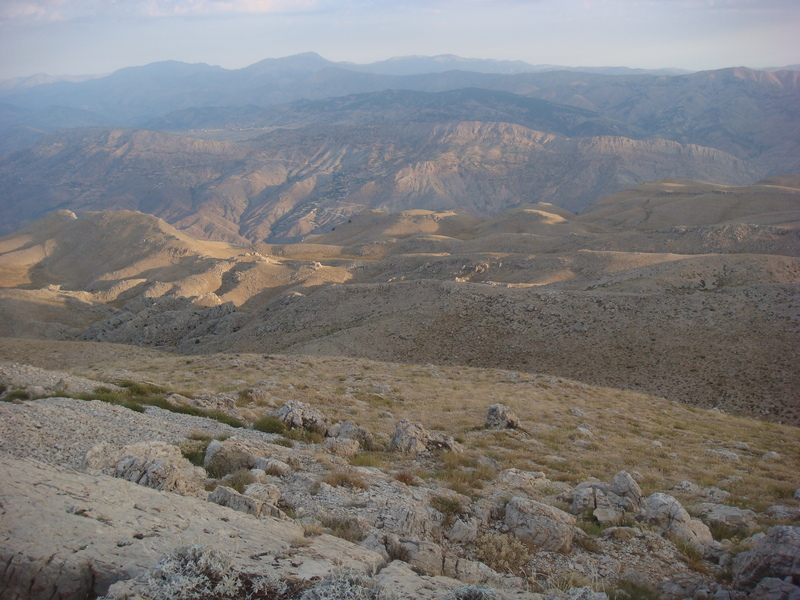 We decided we all needed to lie in the shade and consume a lot of water and within an hour or two we were on our way to our small basic guesthouse, Çesme Pansion, only 6 km from the summit of the spectacular Nemrut Dagi. Our journey had begun in Brussels and three days later we were in Istanbul, with overnight stops in Hungary and Bulgaria. 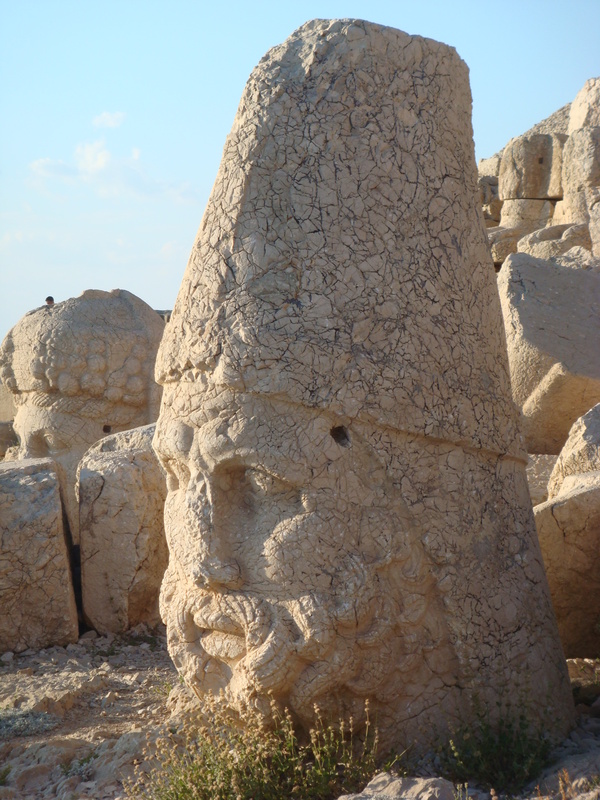 From there we headed east to Ankara and the ancient Hittite capital of Hattušaš, then on to the extraordinary landscape of Cappadocia. Now in south-eastern Turkey, we were making our way to one of Turkey’s most extraordinary sites, best encountered at sunrise and sunset. Lost from sight for 2,000 years, until in 1881 an astounded engineer discovered the extraordinary artefacts on this remote mountaintop, Mount Nemrut; here lie the remains of vast statues, over 30 ft high, dating from the 1st century BC, the heads of which have been toppled and lie strewn about the site. 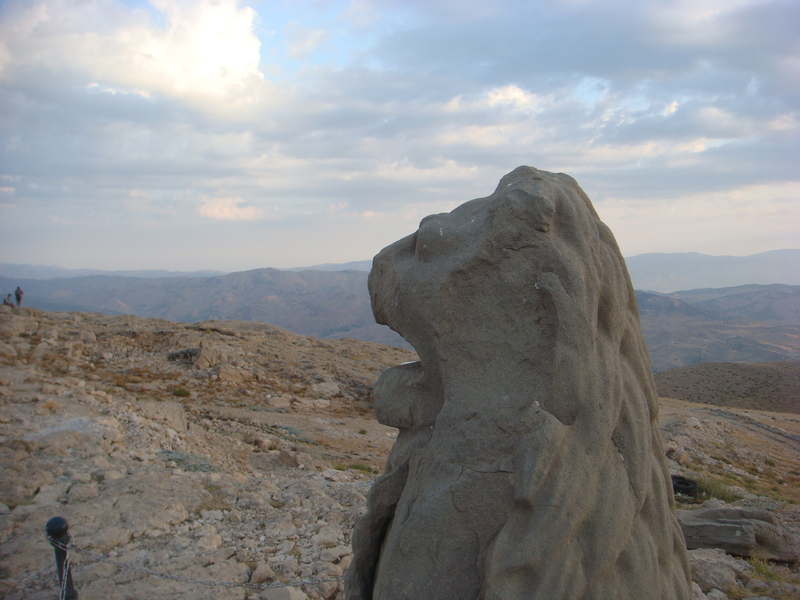 On one of the highest peaks of the Eastern Taurus mountains King Antiochus (69-34BC) of Commagene, (a kingdom founded north of Syria and the Euphrates after the fall of Alexander’s empire), built this temple-tomb and monument to himself. Two ledges were built into the rock, which he filled with colossal statues of himself and the gods, then backed them with an artificial mountain peak of crushed rock 50 m high. 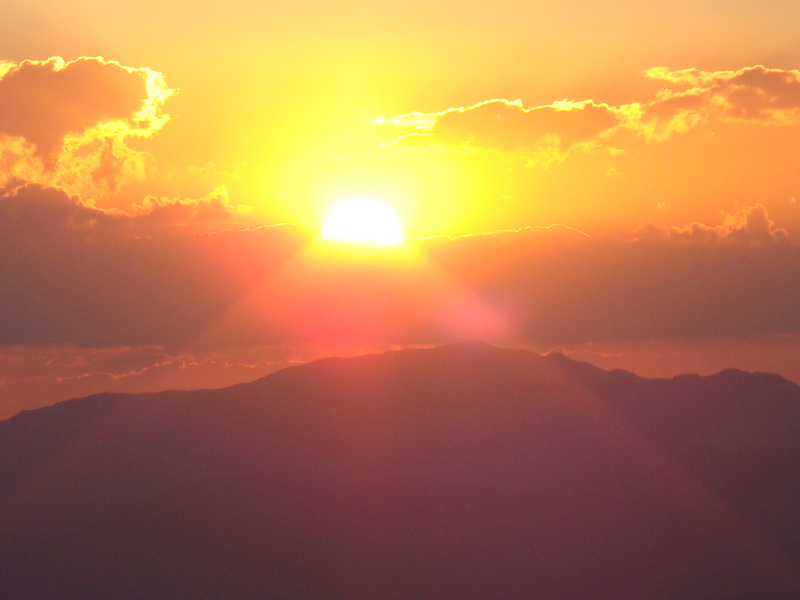 This spectacular sight is best viewed as the sun sets and bathes the western slopes in a golden haze. The vista across the vast mountainous region is breathtaking. A short sleep then rise again at 3am for another ascent, this time in the moonlight, reaching the terrace in time to catch the rising sun on the eastern slopes. 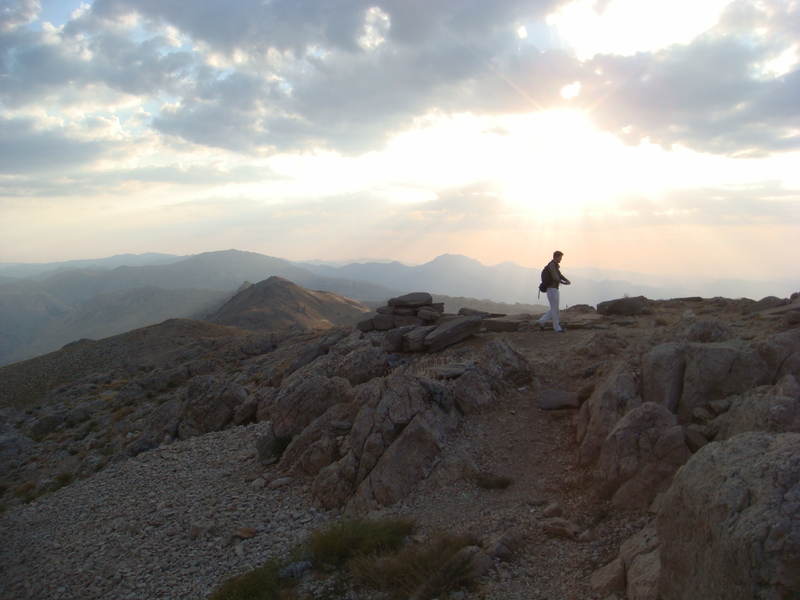 The final part of the trail is on foot; it’s steep, in parts rough, and the altitude (over 7,000 feet) can have an effect, but the ascent once made is memorable. Sunrise on the eastern slope. Timing your visit is everything – between May and October only, due to the plummeting winter temperatures, and of course sunset and sunrise the very best times. The air can be very cool especially at sunrise, even in August, so bring a sweater, and of course a bottle of water. 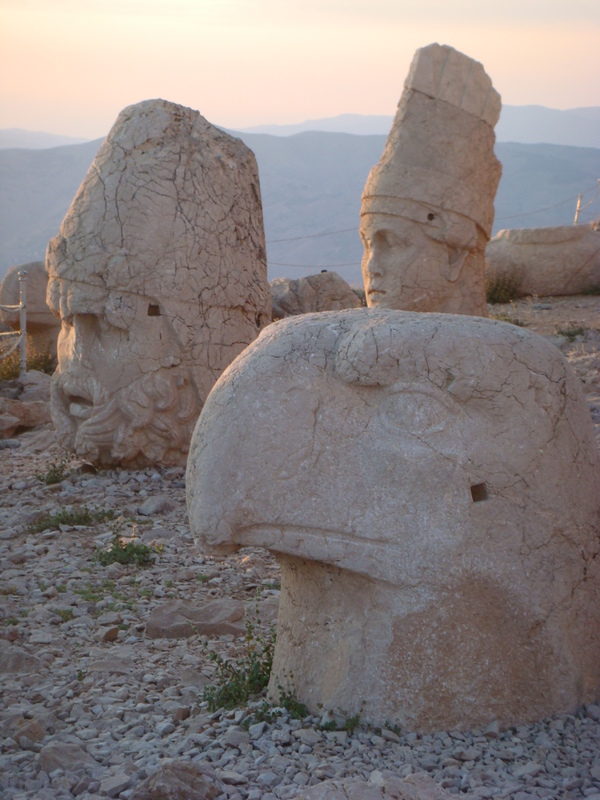 Sunrise on the eastern slope, the heads lie strewn in front of the giant statues and the man-made pinnacle behind. 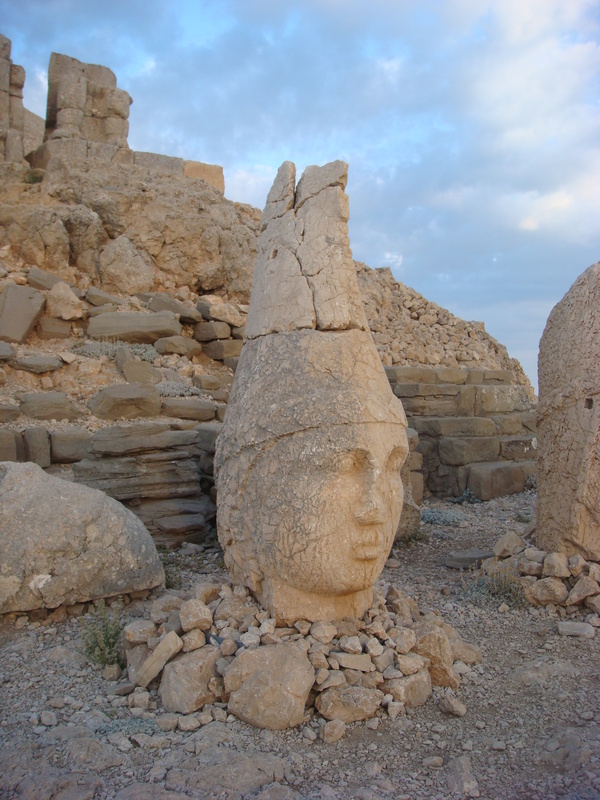 The site was only investigated in 1953, extraordinary to think that the sun rose and set on these undiscovered extraordinary statues for 2000 years. How were the heads toppled? It has been suggested that earthquakes did the damage. What was the purpose of the site? A long-forgotten king’s moment to emphasise his power for posterity. Perhaps these were the royal tombs, or the site had ritual significance. 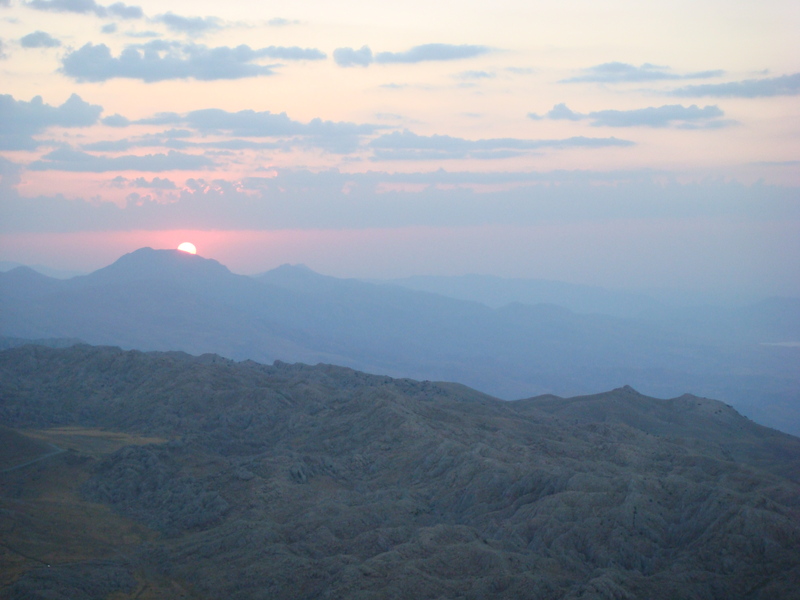 Nonetheless, standing on this mountaintop at sunset is one of those unforgettable, once-in-a-lifetime experiences and definitely worth the journey and the overheated engine. Thank you so much, it was certainly an amazing experience.